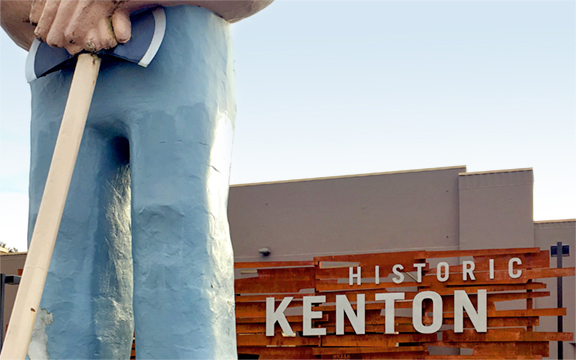 Over the past 58 years the iconic Paul Bunyan statue – the original Portland hipster – located in the historic Kenton Neighborhood, has weathered all manner of changes. Now, a new neighborhood identity installation creates his backdrop. 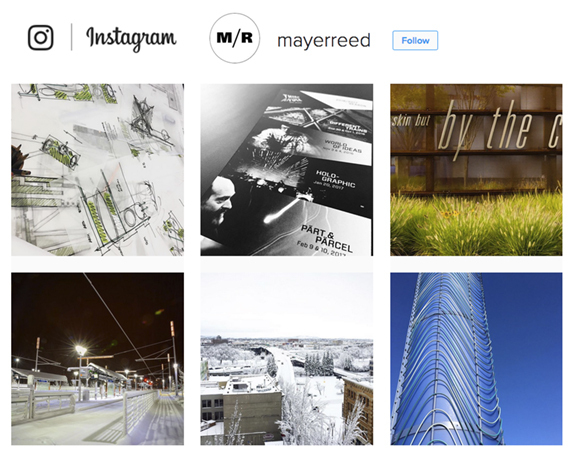 Mayer/Reed’s design was inspired by the color and pattern of tree bark, interpreted using plasma-cut weathering steel, reminiscent of a giant felled sequoia. 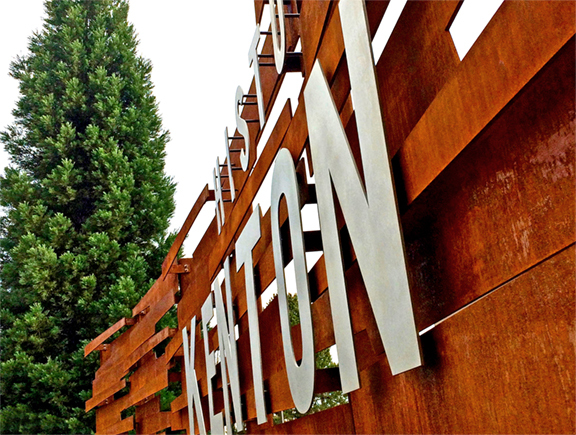 The modern geometry and steel fabrication references the neighborhood’s industrial underpinnings, while establishing an identity for Kenton that is firmly in the “now.” The mythical lumberjack, built for the Oregon Centennial in 1959 was meant to last only a few months, yet the neighborhood landmark still stands tall (31’ to be exact!). Although community groups have spiffed him up over the years, Paul has seen better days. PaintPaulPDX is raising funds for repairs and fresh paint. A restored Paul Bunyan may soon be the finishing piece in an ongoing effort to revitalize this North Portland district. It’s heartening to witness our city reinvesting in existing landmarks and special places, keeping them relevant for future generations.